Fixing dents, scratches, and scuffs on your car doesn't have to take forever or cost a fortune. At Saint Smart Repairs, we offer an affordable mobile body repair service that will leave your car looking like new in no time. Since we use modern "SMART" repair tools, we can travel to clients throughout Christchurch and the Dorset area, offering exceptional repair services when and where you need them. With over a decade of experience in mobile car repairs, our team provides a professional, trustworthy service. Over the years, we’ve worked with multiple individuals and various major companies including Eden Vauxhall, Westover Land Rover, and Abacus Car Hire. Our commitment to friendly, trustworthy service ensures that clients are delighted with our repairs. Our services cover all small to medium repairs, including scrapes, chips, dents, and scuffs. The Smart repair method we use provides a quick turnaround, while still maintaining the same high level of quality. This means we can complete most repairs within a few hours, with a maximum repair time of 4 hours. Our free estimate is straightforward and honest with no extra charges, so you can be sure there are no hidden costs. Offering expert car body repairs to clients throughout Christchurch, Bournemouth, Lymington, New Forest and Poole. We pride ourselves on the high quality of our work, which is why we offer a lifetime guarantee on everything we do. We provide honest, clear quotes on all work. Our repair process ensures affordable prices, with no extra costs. 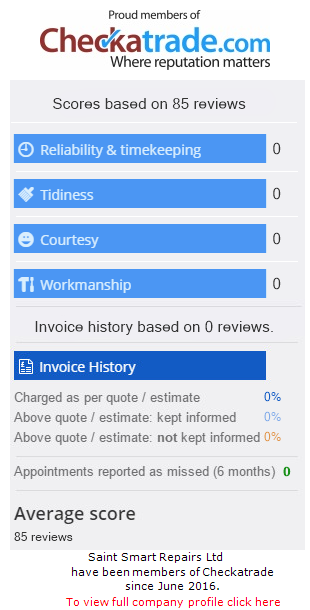 For a free, no-obligation estimate, give us a call at 07470 312 021, or fill in a quick form, and we’ll get right back to you.